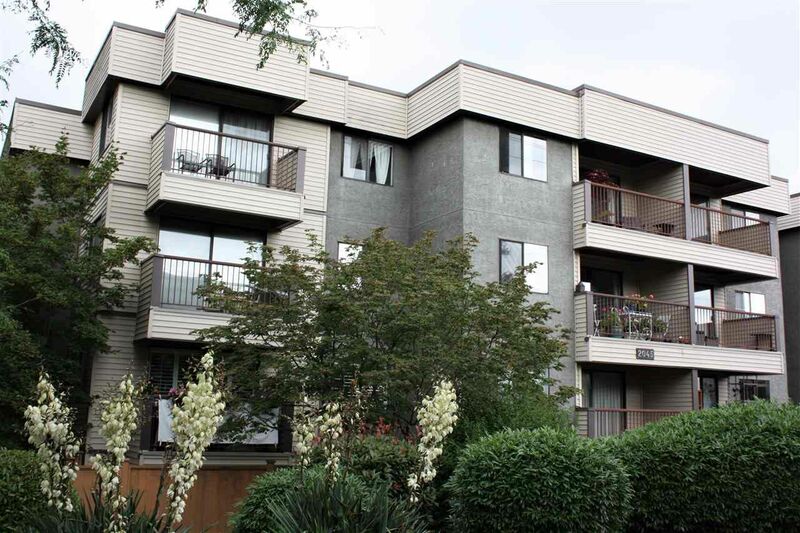 Very Stylish One Bdrm Apartmentt in Harbourmount - a very well maintained, 31 unit Owner-Occupied Building in a Great location close to transportation, shopping & schools. The suite has been extensively renovated by award winning Designer/Owner to the highest quality; including a Deluxe kitchen with custom cabinets & top quality appliances (Fisher Paykel dishwasher, LG Fridge, separate cooktop, oven); Updates include: new electric panel, recessed lighting, plumbing fixtures, closet organizers, hardware & mirrored doors, flooring & finishes throughout. Private & secure suite with nice balcony & view of North Shore Mountains. Bring your fussiest & most style conscious buyers! Easy to show - call Bob for Appointment. Open Sunday July 15th @ 2:00pm to 4:00pm.